Rooster is one of the most unique Mentalist/Mind Readers in the country. He fuses: Magic, Comedy, Audience Participation, Psychological Mind Games, Occasional "Shock Factor" Moments and Skill, all these aspects come together to create moments of wonder and amazement for his audience. Rooster's Mind Reading act is the ideal ice breaker for: close-up, mix and mingle, drinks receptions and even meet and greets! 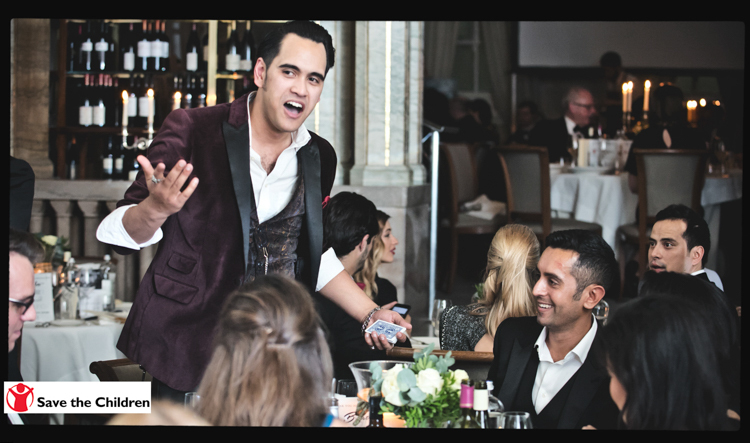 If you're looking for a small cabaret performance then this is also an amazing way to keep your guests entertained! 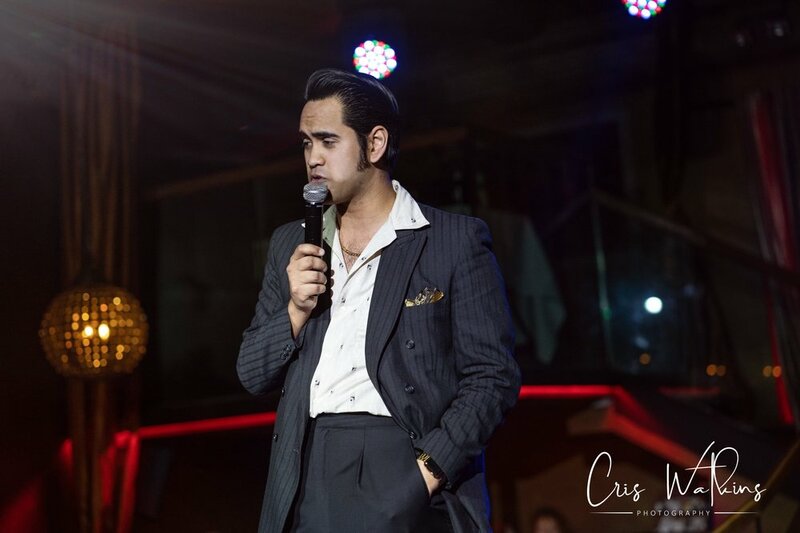 Rooster has had the pleasure of performing his brand of Mind Reading at many corporate events and awards shows all over the world, even reaching the stage at the prestigious Raffles Hotel in Singapore. "The best act we've ever had"
"the rock and roll Derren Brown!" How can Mind Reading work within my event? Whether mix an mingling at a corporate event or on stage at a private function, Rooster can tailor his Mind Reading act to your event. Past clients have commissioned feats of mentalism which include branding for their company, as well as entirely new concepts for Rooster's stage act! The possibilities are endless, and your guests and clients are guaranteed to be astonished and amazed. Drinks Receptions or meet and greets can be made extremely fun and engaging! Whilst the dead time in between dinner courses can be made unforgettable. Why not see how Rooster can enhance your event by enquiring here! What is mentalism or Mind Reading? Mentalism is a type of magic which engages more with the spectators mind. This could include mind reading/psychic readings, predictions, memory feats, telkenisis and possible contact with the other side......all for entertainment purposes you understand. Rooster does not believe he has "special abilities", more that he is able to influence the way his spectator thinks in order to create such miracles. With both spooky and weird out comes it is truly a sight to behold.